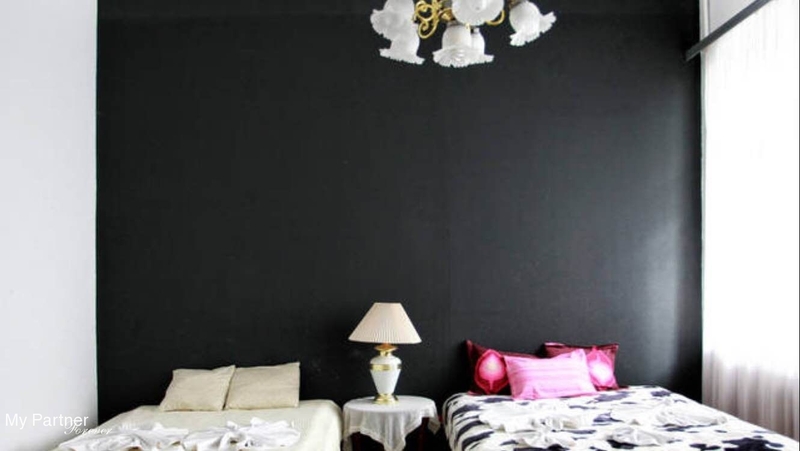 The apartment is in the historical part of Kiev, for comfort staying in our city. There are lots of the best shops, banks, fine restaurants and cafes. Each apartment has iron, microwave oven, refrigerator, electrical kettle, washing machine, dishwasher, cable TV, air conditioner, WiFi, central heating. If the apartment You will chose will be rented already we will propose You another one that will match your demands. 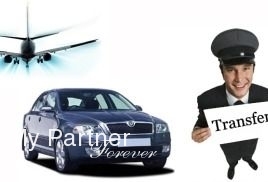 We also have transfer service. DISCOUNT CLUB: if You’ll rent an apartment with our agency You will get 1 bonus for each day of renting. Once You’ll have enough bonuses You’ll have free of charge day of renting. The more bonuses you’ll have the more days you’ll get. We`ll meet you at the Central Railway Station and will transport you to your hotel or apartment in a comfortable car or transport you from your hotel\apartment to the Railway Station. The price is for the round trip. 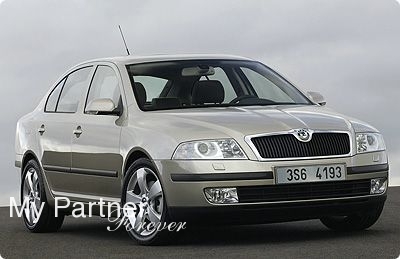 Booking our transfer you get a high-level service that includes: • professional drivers; • comfortable cars; • Railway station meeting; • fast order processing; • baggage support. Prices for Kiev Railway Station Transfer in Kiev - two ways. 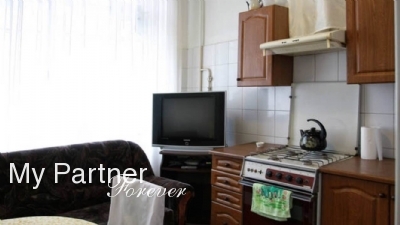 A one-room standard apartment; has double bed, kitchen with the necessary set of accessories for cooking at home, separated WC, boiler, Internet. It is transportation of passengers from the airport to the apartments (arrival) and the opposite destination (departure). We are pleased to offer you this large, modern and very comfortable studio apartment in the very heart of Kiev city center. It has a very soft and modern design and style, combined with brand new furniture you will feel yourself like in home in this apartment. It has a huge king-size bed, a sofa which can be converted to another double sleeping place, TV-set with a lot of foreign channels, sound system, air-conditioning, broadband internet connection for business travelers. Fully fitted modern kitchen will allow you to make all your favorite meals. 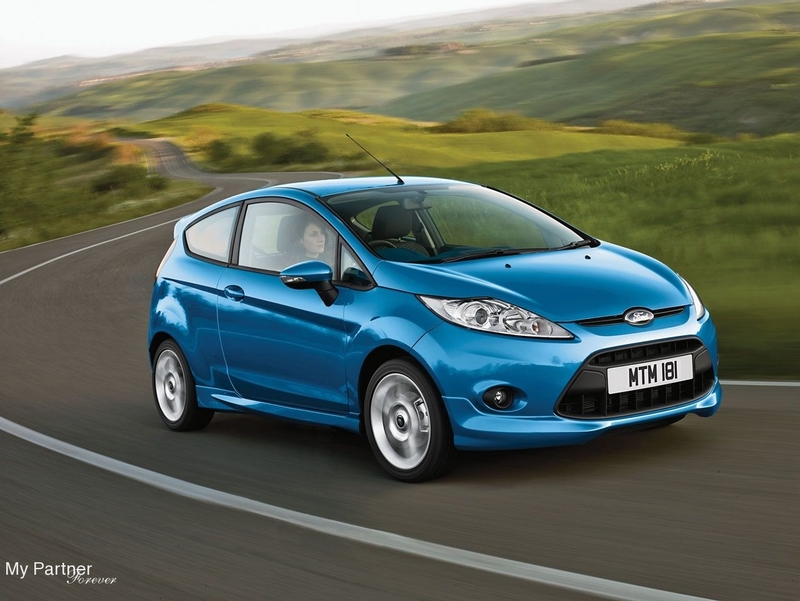 It also equipped with microwave oven. This apartment has a beautiful view from windows. 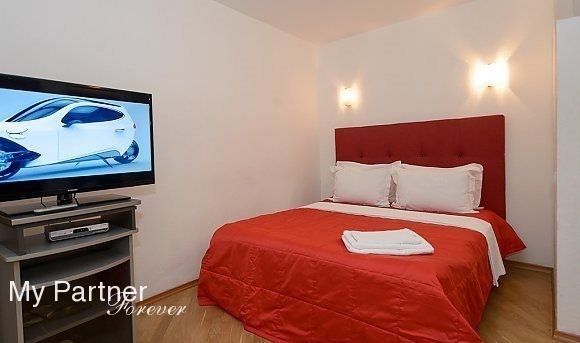 We are pleased to offer you modern and very comfortable studio in the heart of Kiev city center. It has a very classic and modern design and style, combined with brand new furniture you will feel yourself like home in this apartment. It has a huge king-size bed and a sofa. 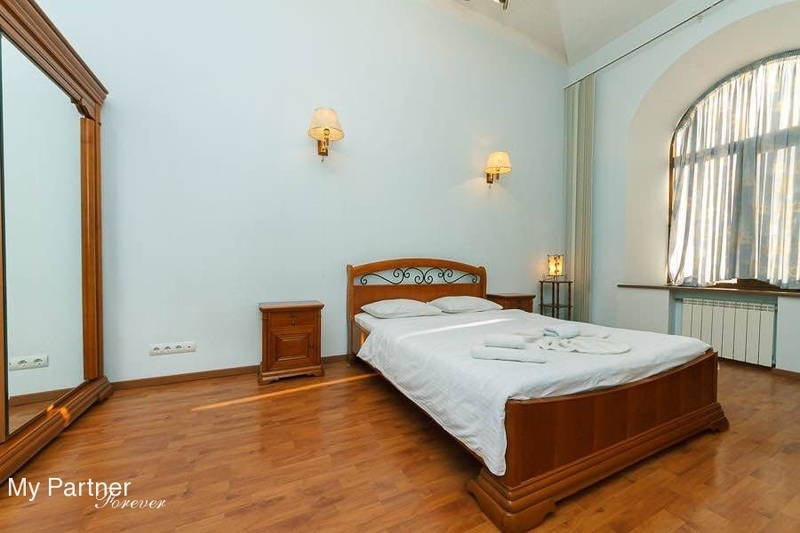 It is located in the very heart of Kiev city center, within minutes of walking from all the main entertainment centers like Arena City, Mandarin Plaza etc. There are a lot of nice and good restaurants, pubs, bars and casinos around the place. Two main business centers are within few minutes of walking also. This is high-tech style studio apartment in the center of Kiev. There is a huge king-size bed, big comfortable sofa which can be transformed into another double sleeping place, big embedded wardrobe. Fully equipped kitchen is separated from the room by the dining-table with modern chairs. It has everything for cooking of your favorite meals. There is a laundry washer embedded in one of kitchen sections. The luxury modern bathroom has a Jacuzzi bath-tub, shower, wash-basin with a big mirror in front of it and a WC. Apartment is fully fitted with all modern amenities and facilities such a very nice TV with a lot of cable TV channels, high-speed broadband internet. Fully equipped apartment, located right in the city center, just two minutes walk from Khreschatyk and Arena Mandarin Plaza. Air conditioned, heated and with a high speed ADSL Internet connection. There is a double bed and sofa bed in the living room. 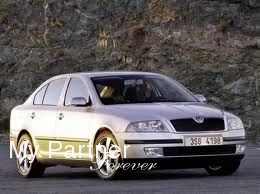 It is furnished with L-shaped couch and satellite television. There´s also a dining table and four chairs plus sunny windows with curtains. 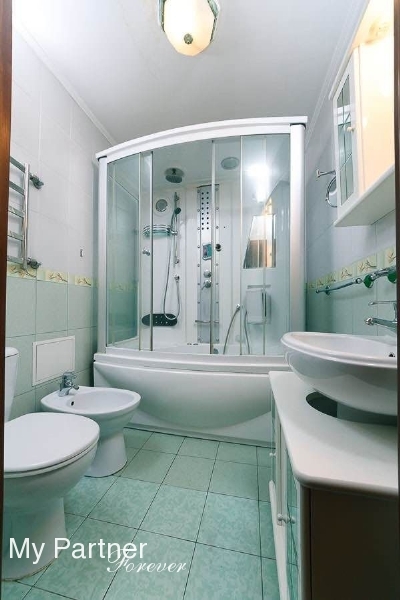 The bathroom is fully tiled with toilet, basin and shower. There´s a washing machine and ironing equipment .The kitchen area is small but equipped with Kitchenware, pots, pans and utensils, plus a microwave, electric stovetop cooker with toaster and kettle. 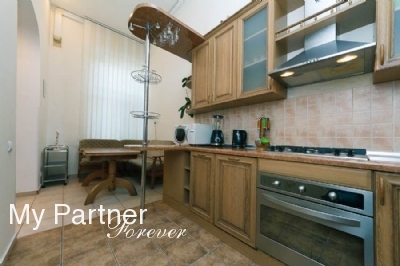 Modern studio apartment in the very heart of Kiev, within 5-7 minutes of walking from Khreschatyk Street. It has Jacuzzi bath-tub and facilities such as a cable and satellite TV channels, broadband internet connection . There is a king-size bed and a very comfortable modern arm-chair near it. The kitchen is separated from the room by the bar-table with modern bar-chairs powerful air-conditioner will produce healthy and fresh air and will provide you with any temperature in the apartment for your maximum comfort and coziness. There is also a laundry-washer in the bath-room. 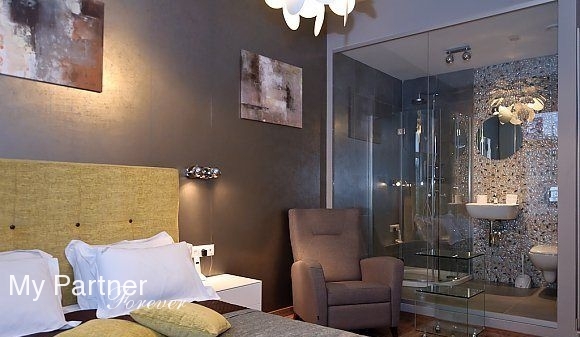 Luxury modern apartment in the heart of Kiev city center. 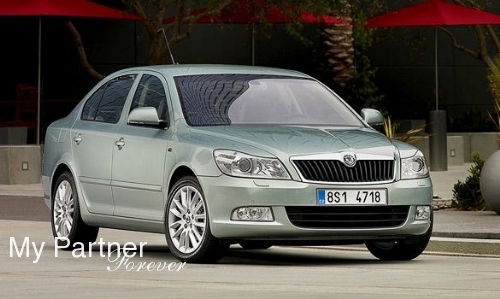 It is fully equipped with all your needed goods. Living room decorated in very soft gold colors. Relax on fold-out sofa watching a big flat screen TV set with a lot of channels (English, Deutsch), small glass table. There is a queen size bed in the bed-room which separated by the window. Big wardrobe for all your clothing is in a living room. Kitchen contains of cupboards, fridge, oven, sink a dining table for you and your guests. Talk to your friends and check mail with broadband Wi-Fi Internet connection. 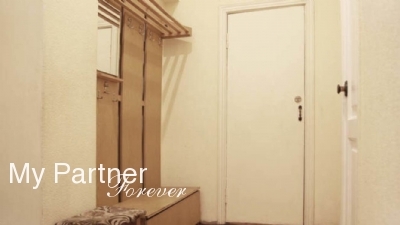 Modern and cozy apartment consists of two separate rooms - living room and bedroom. The living room has well-chosen Italian furniture and a comfortable sofa - bed. The bedroom has a double bed and a wardrobe. The apartment has a huge hot tub for a comfortable rest and water treatment. Fully equipped kitchen with cupboards, refrigerator, stove, sink, microwave and other cooking utensils will please fans prepare delicious meals. 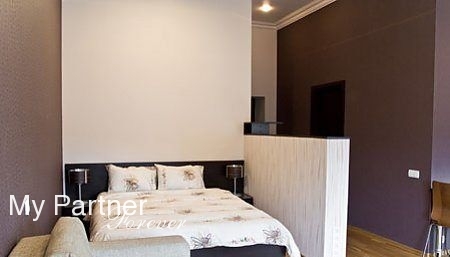 Excellent designed apartment provides all conditions for rest and business negotiations. Located in the living room air conditioner is refreshing and cleans the air, making your stay comfortable in the apartment. App #1947 - 1 room app. 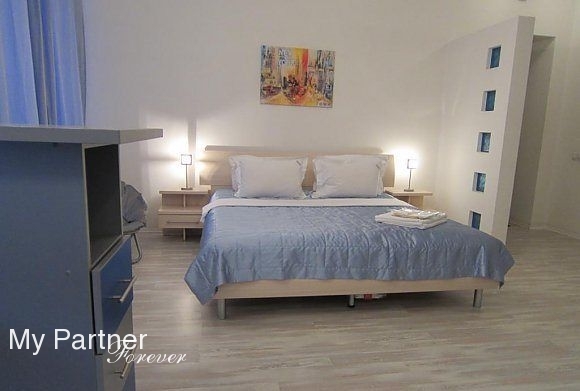 Very comfortable and clean appartment with modern design and near the city center. 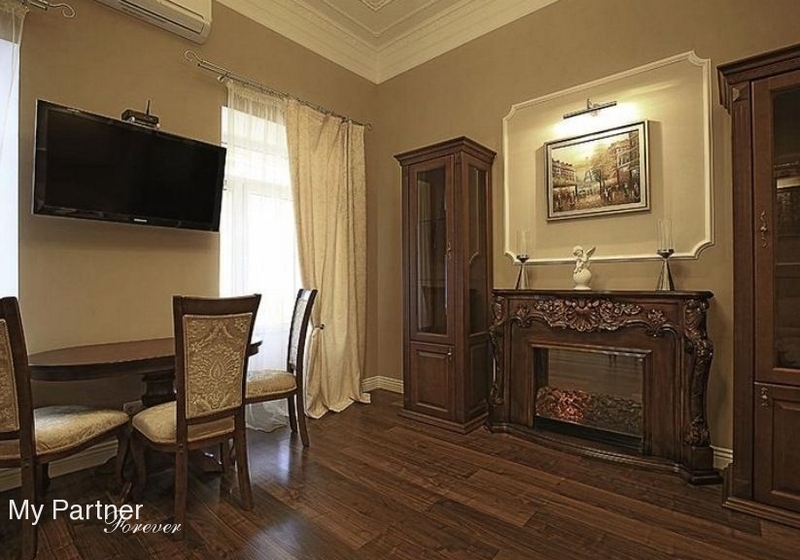 Luxurious apartment located in historical center, close to subway. Two bathrooms, 1 balcony, ceiling height - 4 m, boiler, refrigerator, home appliances, luxury accommodation, internet, parking, air conditioning, satellite TV, fireplace, alarm system, with furniture, TV. A two-room standard apartment; has two beds, kitchen with the necessary set of accessories for cooking at home, separated WC, boiler, Internet. 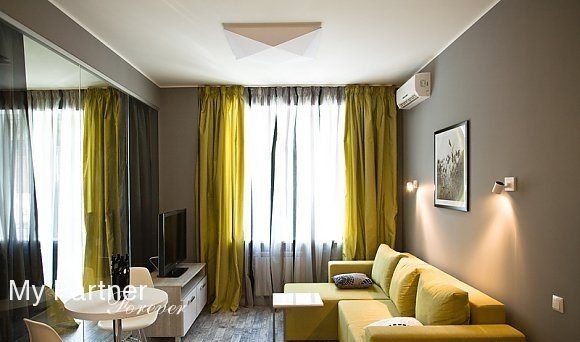 A cozy two-room apartment with the heated floor in the downtown of Kyiv. 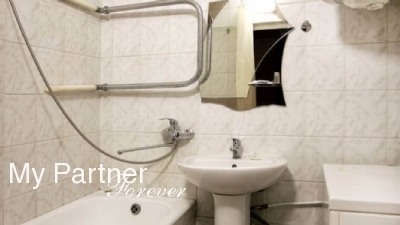 This is a very comfortable and cozy 2 room apartment for a daily rent in the heart of Kyiv on Bulvar Lesi Ukrainki. 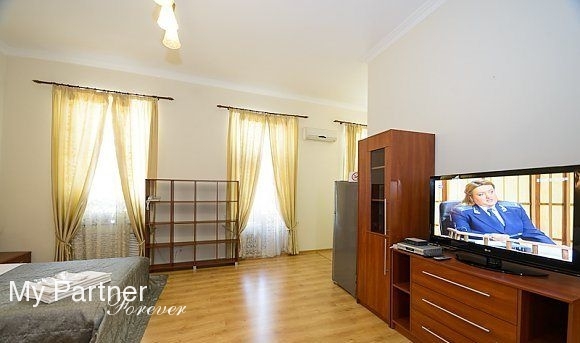 It’s located in 7 min of pleasant walking to Khreschatic Street and around o’clock Billa supermarket. We guarantee: Fast and high quality settlement + Meeting at the airport and railway station + Necessary bedding and bath accessories.